The Education Trust, an organization dedicated to closing long-standing gaps in opportunity and achievement separating low-income students and students of color from their peers, applauds the Senate Health, Education, Labor and Pensions Committee for considering a bipartisan bill to reauthorize the Carl D. Perkins Career and Technical Education Act. The bill you are considering is an improvement over current law and does address some of these issues. The bill represents a step forward in addressing data quality, focusing on actual workforce needs, better integrating the employer community, and providing opportunity for innovation. We appreciate the increased attention in this bill to the performance of individual groups of students in CTE programs, as compared to current law. This represents a continuation of a key part of Congress’ foundational agreement from the Every Student Succeeds Act: A focus on access and success for individual groups of students is critical and must be a part of our CTE system. 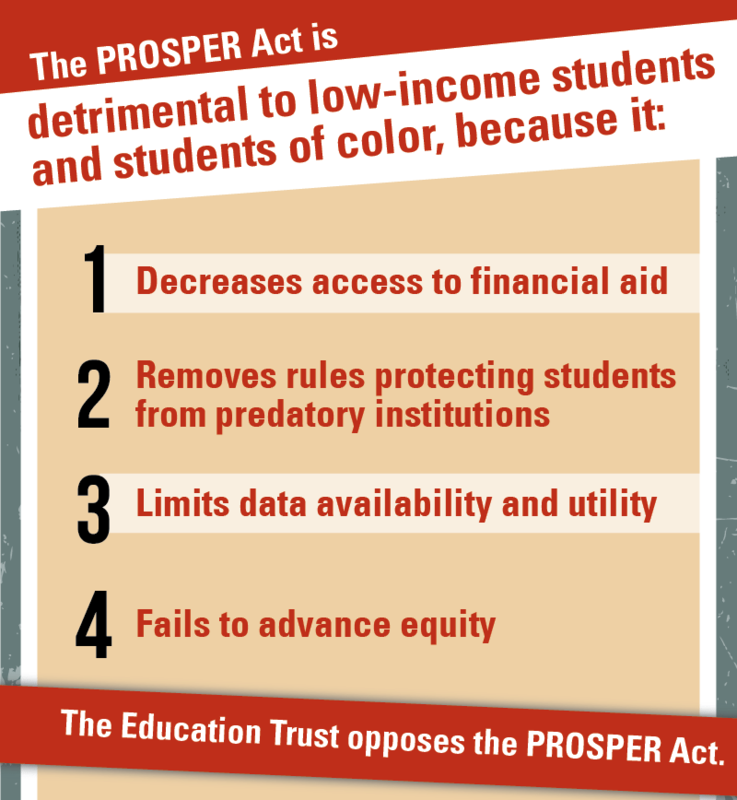 Grantees should have to take proactive steps to ensure low-income students and students of color aren’t disproportionately represented in low-quality programs unaligned with current workforce needs. Also, gaps in performance for individual groups of students and gaps in performance among groups of students must be addressed. We urge you to maintain this focus as the bill advances. As you move forward with this legislation, we urge you to address one issue. While the bill does include opportunities for innovation, we believe a greater investment is necessary to build an evidence base of CTE models that work, particularly for historically underserved students. While examples of innovation exist in the CTE programs, too few initiatives seek to truly expand the means and pathways to advance student mastery in CTE. Reimagining our CTE system is absolutely necessary given our changing economy. This bill is an important step forward, but there is still work to be done to make it a tool to truly transform CTE to meet workforce demands for all students. We look forward to working with you on further improving this bill as the legislative process moves forward.